Yes! Now we will have "The Many Faces ..." video game version! I hope you like as much as I love the KH universe <3. Have tried to give each of them a moment of the day. 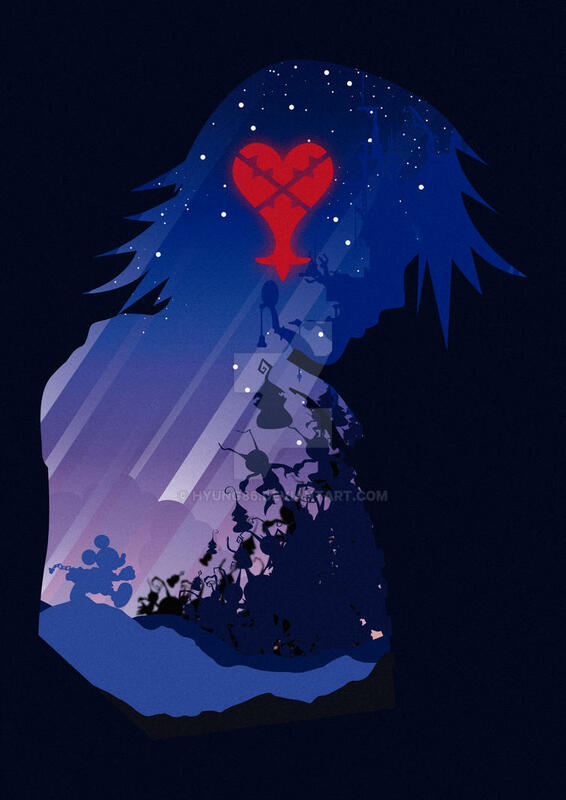 Sora is the sky of dawn, Kairi the oceans of noon and Riku the earth and the darkness of twilight. And remember... "The closer you get to the light, the greater your shadow becomes." if this is your shop then just ignore this. but if its stolen i wanted you to know!! Just one question (sorry to bug...) But if you use a drawing tablet.... Which would you recomend? I'm hopeing to get one for Christmas, and just wanted an opinion from someone..... Thanks for reading And the drawings' AMAZING!!! I usually use Wacom but now Im testing a "huion GT185" and have to say that it's great! These images remind me of the poster for the Finding Neverland broadway musical. Was that by any chance an inspiration for you when coming up with these? I love this game series!! Riku is a great character! If you ever did do a Faces of Games series, could you do Assassins' Creed? That'd be cool...And gorgeous work as always! OMFG! I LOVE YOU! THIS IS MY FAVORITE GAME THE THE WHOLE WORLD!